I thought I would have finished this book by now, but I had a change of plans outside of my control this weekend so I am a bit behind my schedule. I am nearly finished and I think one more review should be the end of this story before I move onto the next story. This book is still as interesting as ever. The author took it upon herself to follow around girls up to the 8th grade, getting a feel for how different a 10 or 11 year old acts now compared with how she herself remembers her and her friends acting at that age. We are raising our children in an environment that is completely different than the one we experienced ourselves. Do you remember when the very first Atari 2600 system came out? When your family got their first VCR, and rented their first movie, likely from the local grocery store because there were no chain rental stores? Remember getting a cordless phone, and you no longer had to wind up the “was-10-feet-but-is-now-35-feet-because-I-stretched-it-to-my-bedroom” phone cord hooked to the phone in the kitchen? My girls will never know a time when there was not a computer in the house. Or a cell phone. Or a DVD player. They have no idea what a cassette tape or player even is. From Cinderella Ate My Daughter (pg 162), by Peggy Orenstein, she noted that “doll sales have declined by nearly 20% since 2005. Girls are casting them aside in favor of online play, which offers even fewer opportunities to go off script. …a quote from a 9-year-old Barbie.com fan: ‘I don’t think I’m good at making up imaginary things; I didn’t know what to do with dolls.’ “ This is a very sad thing for me to admit but I cannot remember that I have ever bought my 9-year-old a baby-doll. Ever. She has had a couple Barbies, Monster High dolls, and numerous Fur-Real Friends animated stuffed pets. The one gift she has consistently asked for, along with 2 of her sisters? Webkinz. You know, the Beanie Baby answer to the internet. They each have several. She was never drawn to baby-dolls, and I never gave her the opportunity to decide if she liked them by just getting her one regardless of her asking or not asking for it. And a quick observation about social networking, namely Facebook, which has been a troublesome nuisance in my house for one of my girls. Peggy Orenstein points out that “one of my favorite books as a child was Joan Walsh Anglund’s ‘A Friend is Someone Who Likes You’. These days, a better title might be ‘A Friend is Someone You Have Actually Met in Person’ (pg 165). This is in the chapter titled “Just Between You, Me, and My 622 BFF’s”. You know the Facebook pages; the ones where the person has over 1000 friends. This person with 622 friends was a girl in 8th grade, who insisted she had at least met each person on her friends list once. What does an 8th grader need 622 Facebook friends for? So as I finish up the end of this story, I can definitely say my eyes have been opened to the way I have allowed companies to market to me and influence my decisions. And here I thought it was just my girls asking me for stuff all of the time. 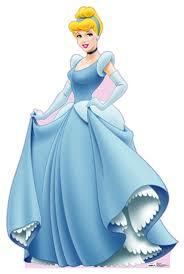 Next Article Cinderella At The End!